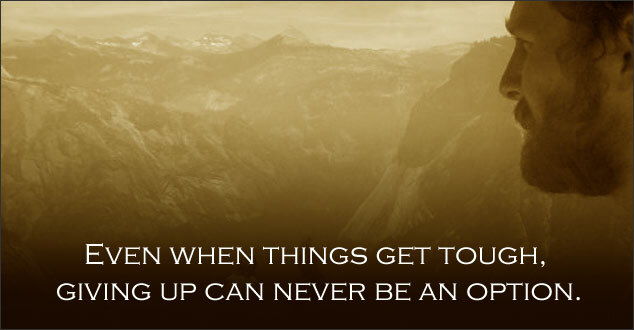 Even when things get tough, giving up was never an option. I come from a line of people who finished school later in life than “normal”. My grandmother went back to get her high school diploma while my dad was still in school. She continued on to get her bachelor’s degree and her masters. My great-grandmother, too, went back to school and got her masters in accounting well after her children were raised and out of the house. Maybe it was having that frame of reference that didn’t make me flinch when my husband went to graduate school a little later than everyone else. It wasn’t like he didn’t try to go right away. Three years and too many rejections and waiting list letters later, my husband, Seth, was accepted into University of Michigan Flint’s Physical Therapy Program. We talk sometimes trying to decide which was harder, waiting to get into school or actually being in school. While we differ on opinions, we know how tough achieving this dream has been. When I first met Seth back in college, he talked of his dream to become a physical therapist. Back then, we knew that it would take a doctoral degree to get there, but we really had no idea what we were in for. That is why, when Seth came home Tuesday night, just in time to say good-night to our almost 3-year-old daughter, it was hard to truly believe he had just sat through his last class, taken his last exam, and given his last presentation. That’s right. The schooling portion of his degree is done. Now, all that is left is 30 weeks of clinical rotations and 1 board exam. As he was whisking off to work, he replied, “No,” and smiled back at me. It truly is hard to believe we are finally here. In the end, this will be over a 6 year journey. I cannot imagine doing it any differently. If life had gone according to our plans, I would still be working as a social worker, we wouldn’t have a sweet little lady and who knows what else? Sometimes in life, we look at obstacles as brick walls with no way to get around them. When life isn’t easy, we think we are doing something wrong. We get shaken from a few bumps in the road. After this experience though, I think that sometimes life isn’t easy. Sometimes life is hard, really hard. You have to make those tough choices, you have to wait through the storm, you have to figure out how to cope and make do with what you have. Just because we go through a season where life is hard and unpleasant does not mean that it is always going to be. This is especially true when you are working towards a bigger goal, a bigger dream. If life had gone the way we planned it, I wouldn’t know how strong our marriage is, I wouldn’t know how incredible the man I married is, and I wouldn’t know how strong I am. What I am walking away with at this stage in the game is thankfulness. I am so thankful to our amazing friends and family. I’m thankful for those who sent us care packages, words of encouragement, who gave us so much grace when we couldn’t make the important events and so much more. When you go after a dream, I’m not sure you can do it alone. We didn’t have much to give and our friends and family surrounded us. I’m not sure what we would have done if they hadn’t been along for the journey with us. If you are going after your dream and life is really tough right now, let me encourage you that you can do it. Let me tell you that I believe in you and you will get through it. I know you will figure it out. Thank you to all of our readers who have joined in with us and our journey. Your encouraging comments have been so uplifting. If you’ve never read Seth’s story, please check out the articles below. August 23, 2015 is the date Seth will be officially “hooded” and become Seth King, PT, DPT. Don’t worry, we will post pictures! ‹ Website Redesign: Is it Time to Redesign Your Website? What a wonderful heartwarming and uplifting story Christine and it’s perfect for this time of year. August 23rd is on the calendar to stand by for pictures. Wishing you and Seth all of the best that life has to offer…the best is yet to come! Very inspiring and well written. Well done Seth and Christine. Good on you both for supporting each other and not being afraid to follow life’s course by having your baby and also fulfilling your career goals. What I have experienced after staying more on the career path and then ‘giving up’ for a bigger calling of stay-in-mum role, is that you need to find the balance that is right for you. And let’s not get into all the cliches that society has imposed as to what gender roles are or career according to IQ or EQ…. Only each person can know, right? Congratulations to you both. You have set the best example for your beautiful daughter. I completely agree with you, you have to find the right balance for you. You know at the end of the day, I am so thankful for all the hard decisions we’ve made that allowed us to find the right balance. Decisions like applying year after year, going to school, leaving my “safe” job as a social worker, and the decision to work from home. It’s all been worth it.